(2016). Study of 5-Picrylamino-1,2,3,4-tetrazole(PAT) with nanostructures of fullerene and boron nitride nano-cages in different conditions of temperature, using density functional theory. International Journal of Bio-Inorganic Hybrid Nanomaterials, 5(4), 273-278.
. "Study of 5-Picrylamino-1,2,3,4-tetrazole(PAT) with nanostructures of fullerene and boron nitride nano-cages in different conditions of temperature, using density functional theory". International Journal of Bio-Inorganic Hybrid Nanomaterials, 5, 4, 2016, 273-278. (2016). 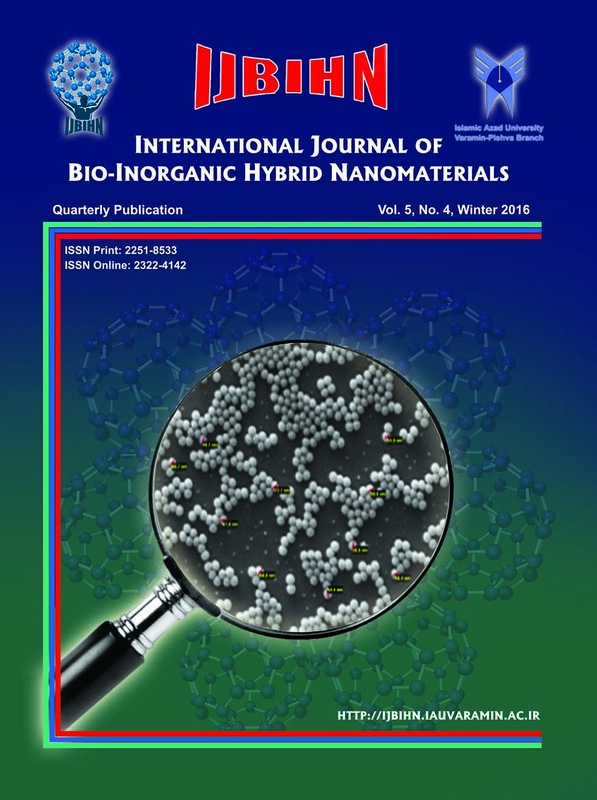 'Study of 5-Picrylamino-1,2,3,4-tetrazole(PAT) with nanostructures of fullerene and boron nitride nano-cages in different conditions of temperature, using density functional theory', International Journal of Bio-Inorganic Hybrid Nanomaterials, 5(4), pp. 273-278. Study of 5-Picrylamino-1,2,3,4-tetrazole(PAT) with nanostructures of fullerene and boron nitride nano-cages in different conditions of temperature, using density functional theory. International Journal of Bio-Inorganic Hybrid Nanomaterials, 2016; 5(4): 273-278. High Energy Materials is a term that is used for explosives, propellants and pyrotechnics. Explosives are used for military applications. 5-Picrylamino-1,2,3,4-tetrazole(PAT) is an explosive substance. In this study the reactions of the 5-Picrylamino-1,2,3,4-tetrazole(PAT) with nanostructures of fullerene and boron nitride nano-cages in different conditions of temperature, with density functional theory methods were studied. For this purpose, the material on both sides of reaction were geometrically optimized, After that calculation of the thermodynamic parameters were performed on all of them and then The values of ΔH, ΔG, ΔS the reaction at different temperatures for different products determined. Also some parameters including HOMO & LUMO levels, chemical hardness, electrophilicity Index, ΔNmax and chemical potential are investigated. And finally, the best positions and temperatures for the synthesis of explosives nano derivatives and effect of molecular weight and type of nano-cages on chemical properties and stability of PAT and nano derivatives were evaluated.